« What’s the fastest/easiest way this company can cut its IT budget? Wow! If we’re going to shop online for tech-type Christmas gifts, we’d better get cracking if we want our ordered goodies to show up in time for The Day. The short list of gift recommendations that follows is cribbed from the many “deal of the day” email newsletters I receive. In theory, each item I mention here is priced lower than it has ever been, which means the vendor is being nice, not naughty, at least in a Cheap Computing context. So ho ho ho, and let’s take it away…. For Gamers on your gift list, Gamefly has a whole bunch of ultra-discounted deals. A lot of them are downloadable, which means you skate the whole problem of getting them by Christmas. We’re talking discounts of up to 75% and 80% here. One caveat: If you’re not a gamer yourself, make sure to check reviews of the various games so you don’t get dogs. Also, try to find out what games your recipient already owns so you don’t get duplicates. A 7″, $89 (refurbished) Android tablet: It’s called the “Nook,” and you need to do a little work (but not much) to add the Android OS alongside its original one. This is still going to be primarily a book reader and video watcher, although with a micro-USB adapter and your “Noot” or other root kit, you can hook a keyboard to it and use it for writing, too. 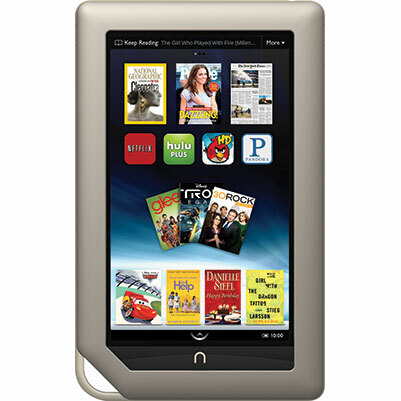 Spotted while checking Nook prices: Hot 7″ Android 4.03 Multi-touch Capacitive Tablet PC Dual Cameras 2MP A13 1.2GHz on eBay. Is it any good? We don’t have the faintest idea. But it’s a “60 days money back, buyer pays return shipping” item, so all you’re risking is the time to pack it to send back if it doesn’t work out. Probably best, given the unknown nature of the device, to buy it for yourself instead of as a gift for someone else. Olympus E-P3 4/3 Camera. It’s a 12.3 mP still camera. It’s a full HD video camera, and because it’s a reflex-type 4/3 still camera at heart, it can give you the depth-of-field goodness you see in film but rarely in video. All this for $499 from Adorama, including a zoom lens that sells for $299 at Adorama, B&H or Amazon. This is probably going to be my next camera. I wish I could afford to buy it today, but I can’t. Want to send me one as a Christmas or Hanukkah or Festivus gift? Didn’t think so. 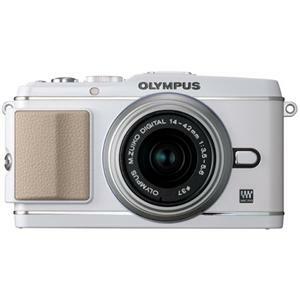 But if you have a budding (or even budded) photographer or videographer on your list who doesn’t have a 4/3 camera already, get them this Olympus and prepare for MUCHO thanks. 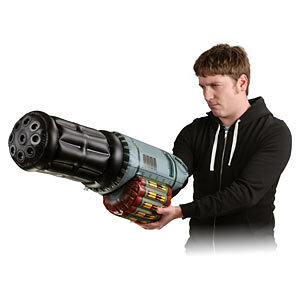 A $10 Inflatable Minigun Arm from ThinkGeek. Wear this and George Zimmerman will not dare to attack you! Usually $30. On sale for $9.99. Comes with a lifetime supply of imaginary (inflatable) ammunition. Create your own sound effects with your mouth, like “blam blam blam blam” or “Nyowm! Shoop! Whack!” It’s all up to you and your wetware. The strange thing is, ThinkGeek seems to see this as an adult toy rather than as something for kids. But so do I. Notwithstanding this marketing failure, a kid with a decent imagination could go nuts with this thing, without anyone getting hurt or using expensive batteries. It’s obvious that there are lots of gifts out there that are truly good values. I’ve only mentioned five out of thousands. 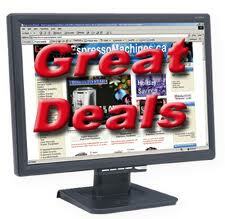 Remember: Whenever you buy online, check for coupons or discount codes. It’s amazing how many of them you’ll find (and how much money you’ll save) by getting into the coupon-checking habit.